I had another thought about Episode 101 ("Sassenach"). Slight spoiler below. If you don't want to know yet, stop reading now! About the scene near the end where Jamie says, "Thank you, Sassenach. Truly." I think it's really appropriate that the premiere episode contains a heartfelt "Thank you". IMHO Jamie is speaking for all the fans out there (definitely including me!) who never thought we'd actually see OUTLANDER on screen, or if we did, that they'd mangle the storyline, change the characters beyond recognition, etc. I'm sure many of you are balancing your excitement with worry about how faithful we'll be to the original material. 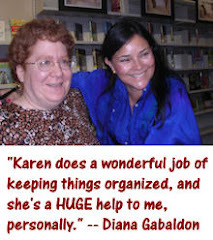 Let me tell you right from the start that we're fans of the books and our first priority is to be as true to the characters and the story that Diana Gabaldon has given us as we can. Put simply, our goal is to realize Outlander, not reinvent it. And they've done just that. <g> I really couldn't be more pleased with the first episode, and I'm excited about the rest of the season! 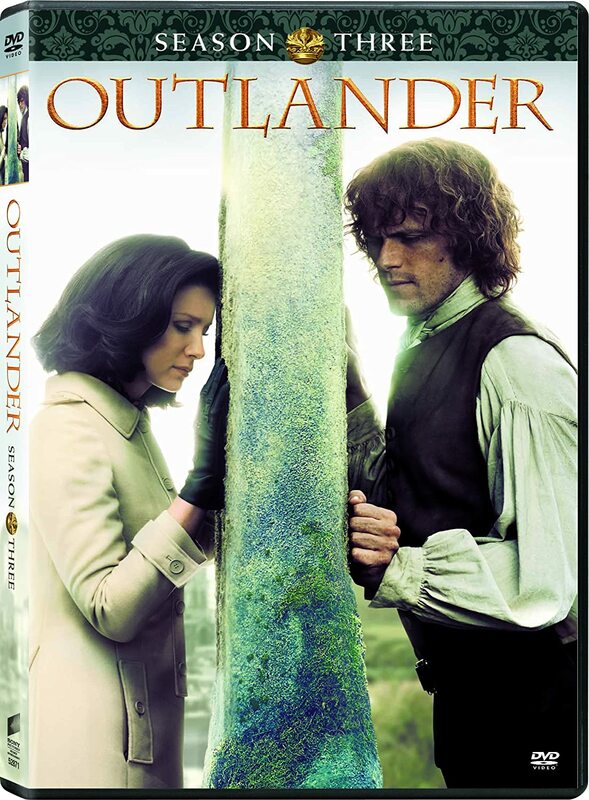 I'm new to Outlander so please excuse me if this has already been asked of the author: Was there a specific reason why Claire was from the 40's and not say the 90's or when the books first came out? I can see how it is easier to gap the differences in the books as by today's standards life in the 40's would be considered pretty backward especially in terms of medicine and technology in general. Welcome! :-) I don't know if you have read any of the books yet, so I'll try to answer without spoiling anything for you. 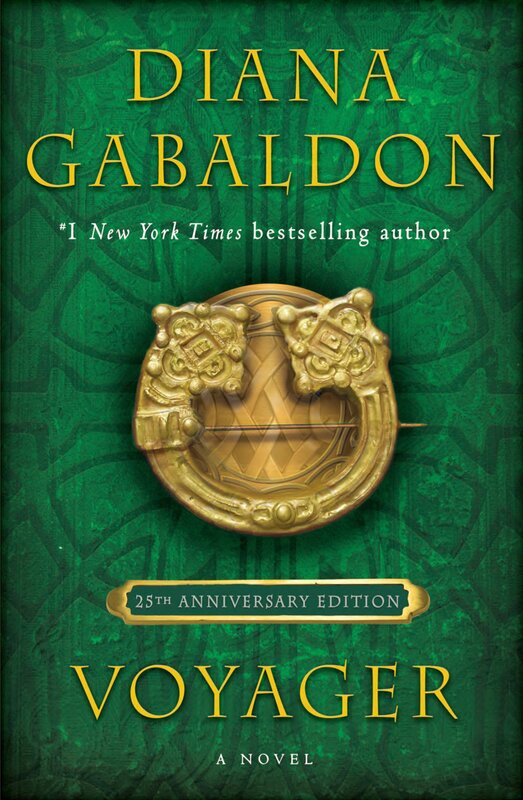 "I wanted Claire’s transition to the past to be as plausible as possible. Thus, coming from both the hardships of postwar Europe and the anthropological travels with her uncle Lamb, her adaptation to Jacobite Scotland would not be as difficult as it might be for a more modern person. It’s difficult for many present-day Americans to realize, but pre-war Britain was really fairly primitive, in terms of the kinds of conveniences—food, travel, refrigeration, plumbing—we take for granted." That's not the only reason, but the other one Diana mentioned is possibly too spoilerish to talk about here if you haven't read the first two books, so I won't. I completely agree. I can't believe how great the first episode was. 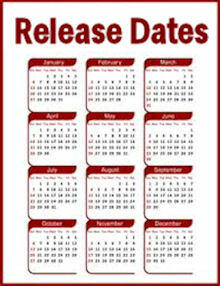 I wish it were August 16th already. I want to watch episode 2. What a generous and thoughtful response. Thank you! You're right, I'm just about nearing the end of the second book so I appreciate your tact. I saw the BBC series Crimson Field which was set in World War 1 and saw many similarities in the opening scenes of Episode 1 with Claire as a nurse so I guess my hunch was right based on the author's explanation. Perhaps I can contact you about the second reason after I finish Book 2? I have watched this episode twice, and watching with my Outlander premiere party group on Saturday. I love his thank you. But I have loved each and every scene from episode one. I have read all of the books, and just reread, (actually listened to it from Audible), book one. The series is brilliant, perfect casting, lovely and haunting music, stunning scenery and attention to detail. I just have to try not to watch it ten more times before Saturday!